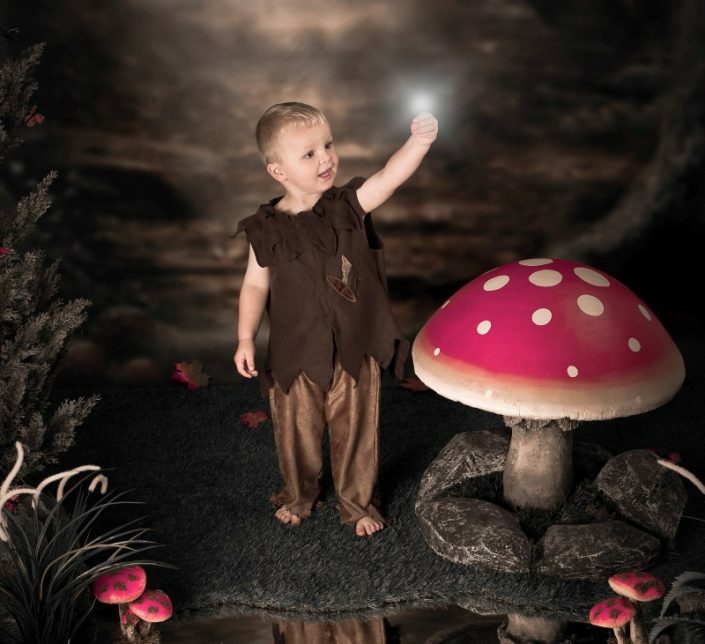 A magical experience where children can pick from a selection of professional fairy and elf costumes in a “Film Set Studio” environment. 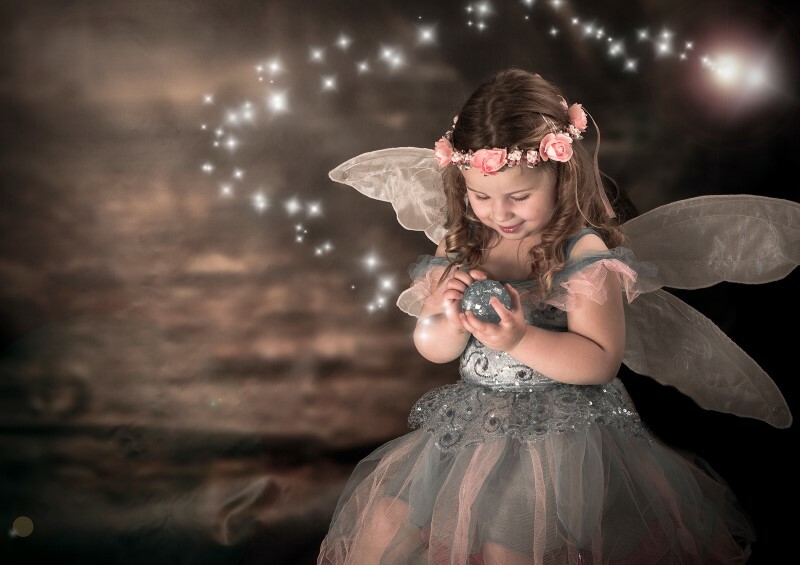 Throughout our lives there will be times we will look back upon, recall and cherish. 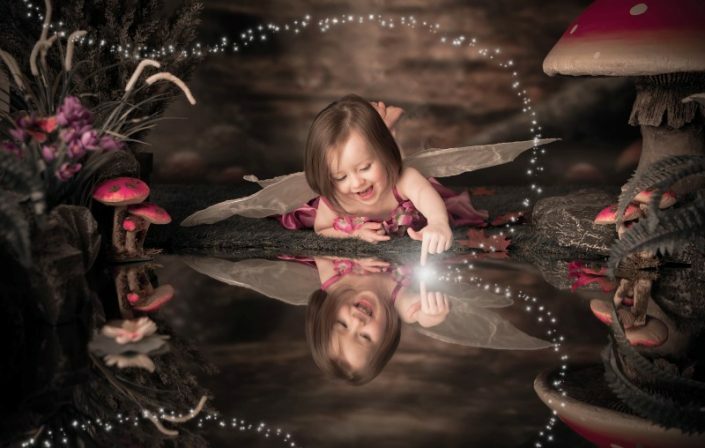 Often these memories bring us back to childhood and happy experiences wrapped around our feelings and experiences at that time. 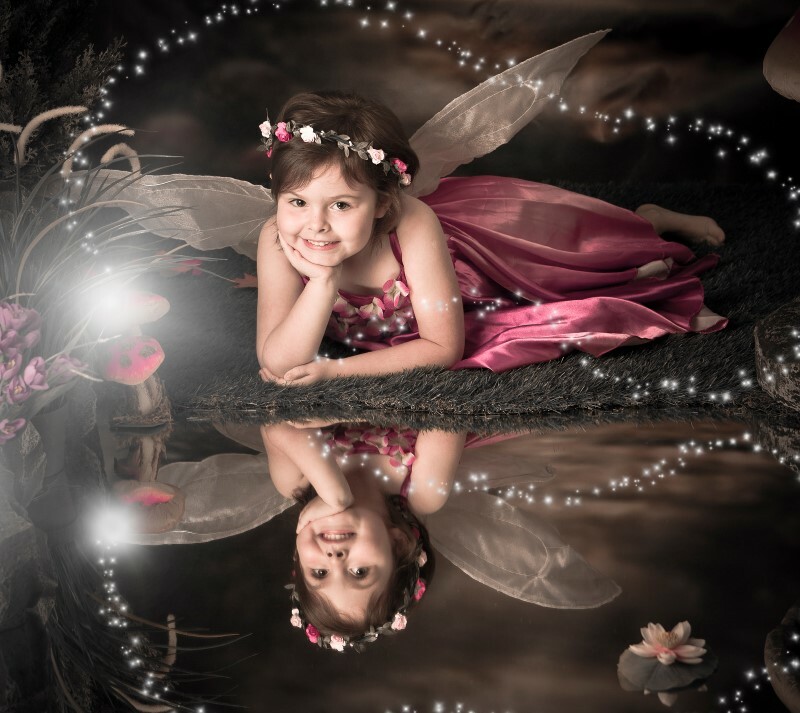 Wouldn’t it be great to give your children a photograph now that would take them back and make it so easy to remember a beautiful time? 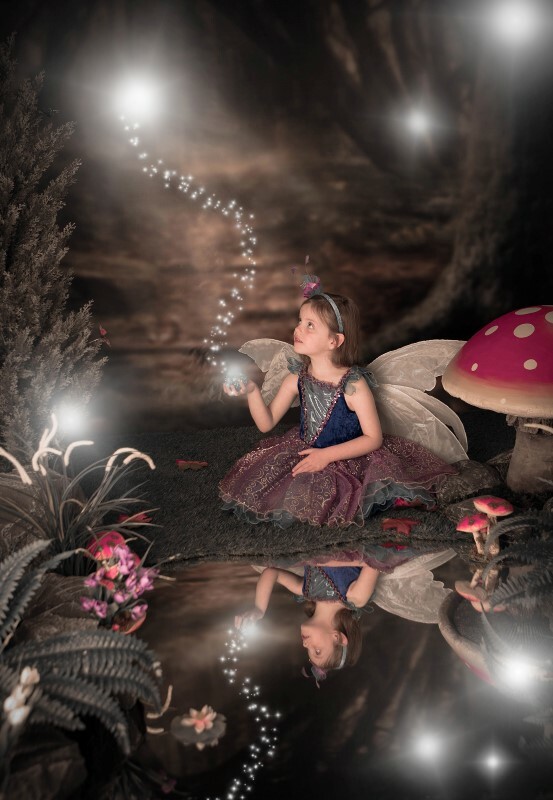 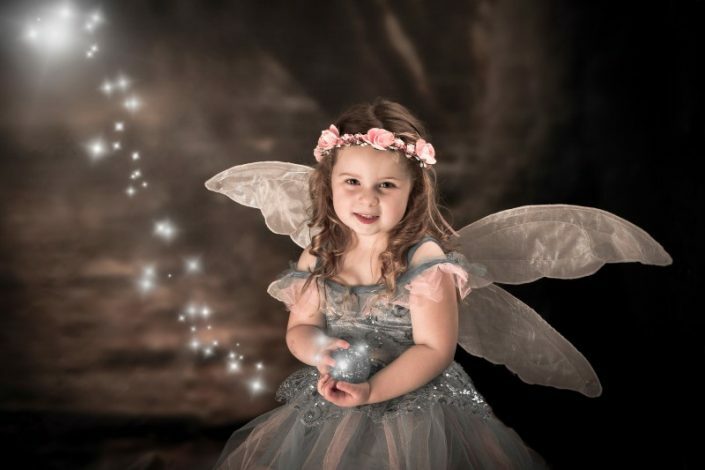 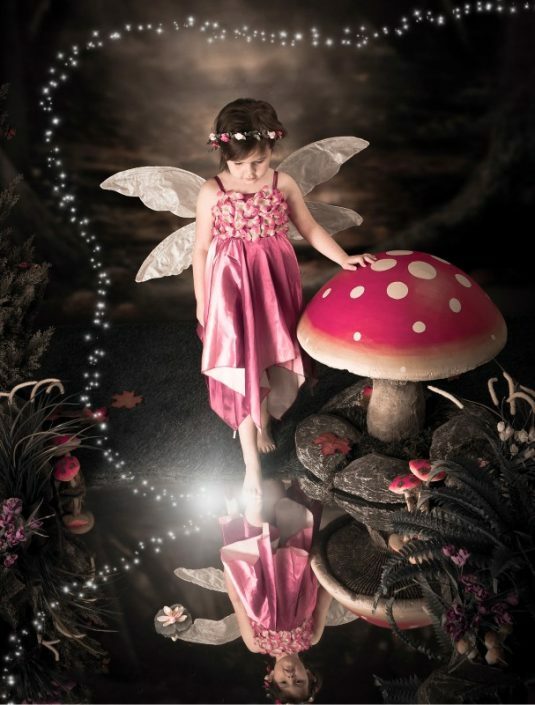 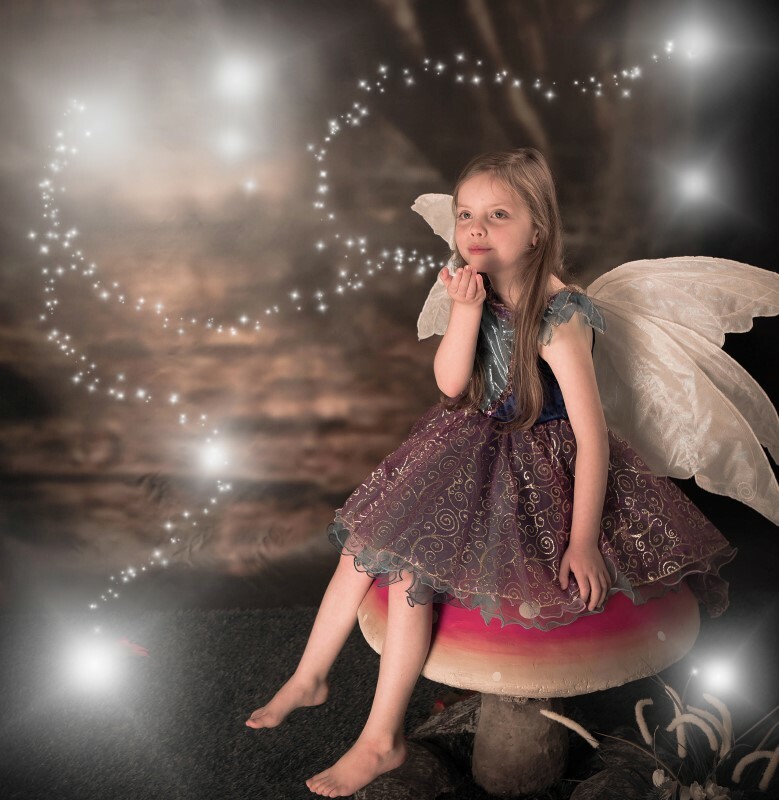 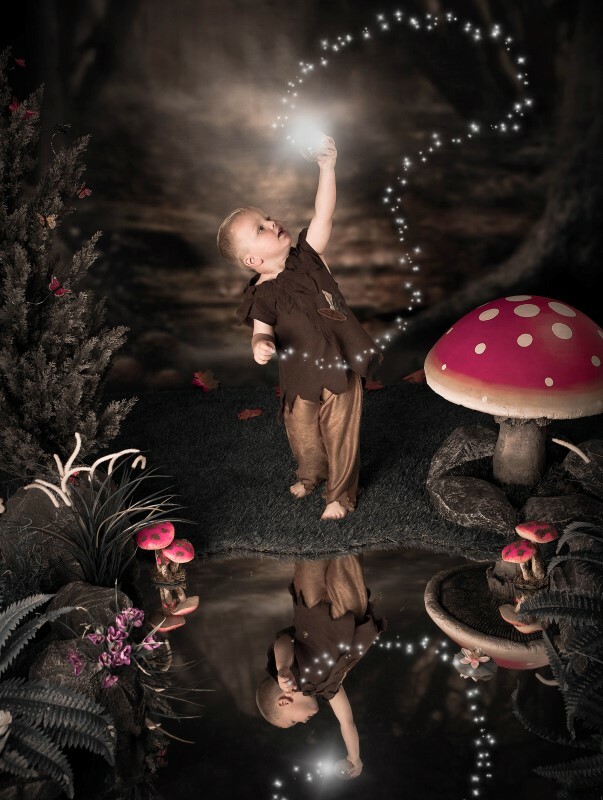 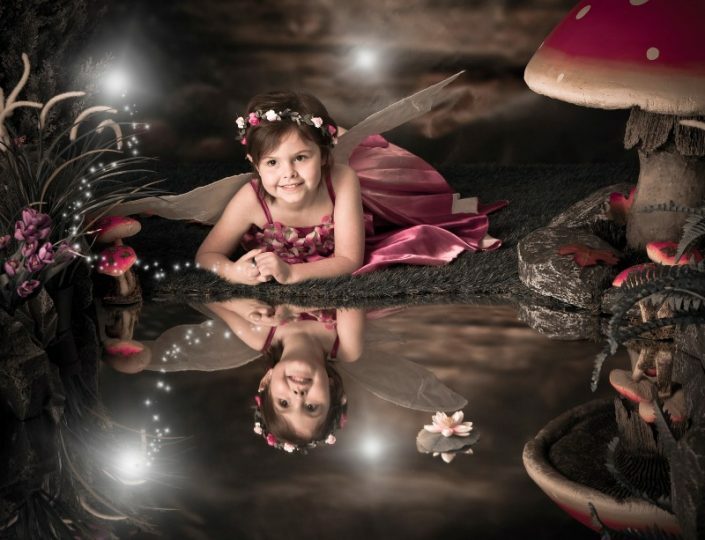 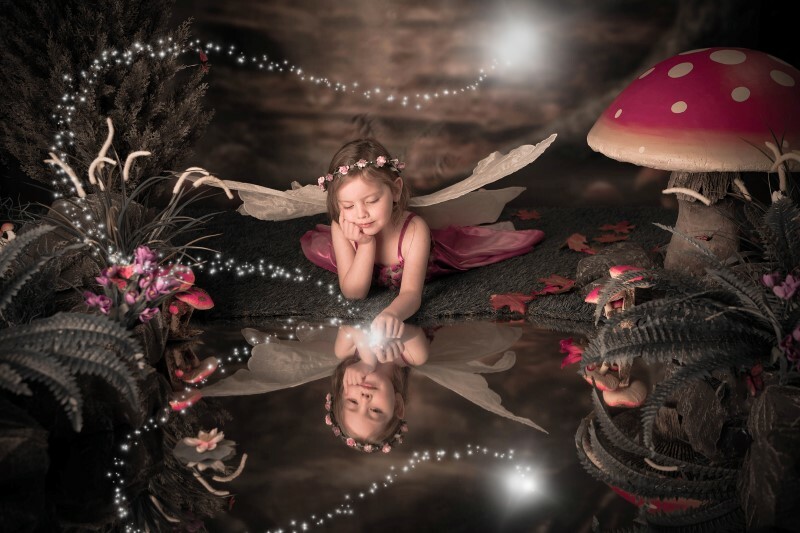 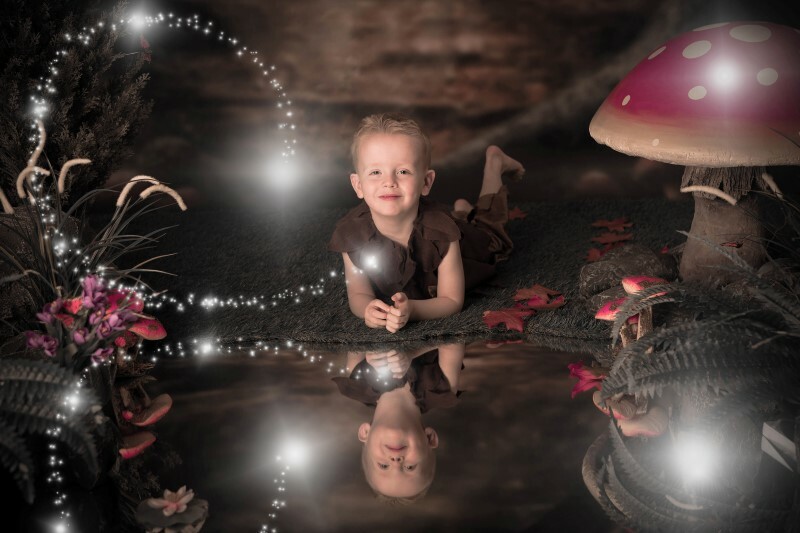 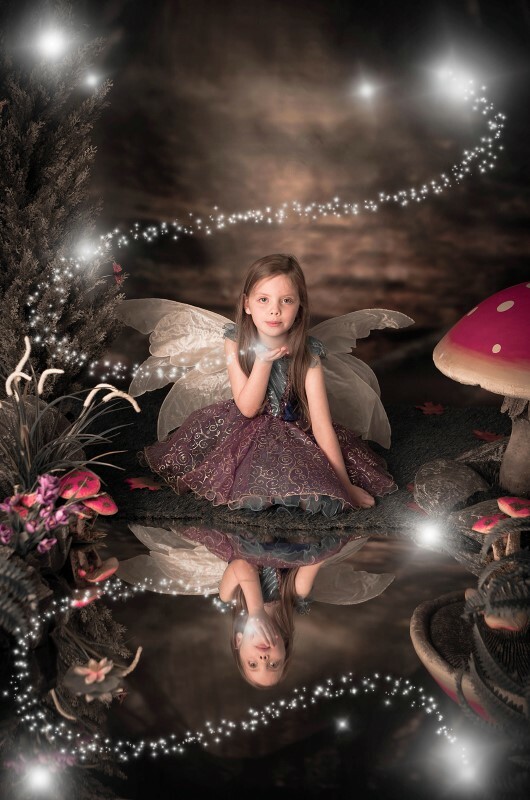 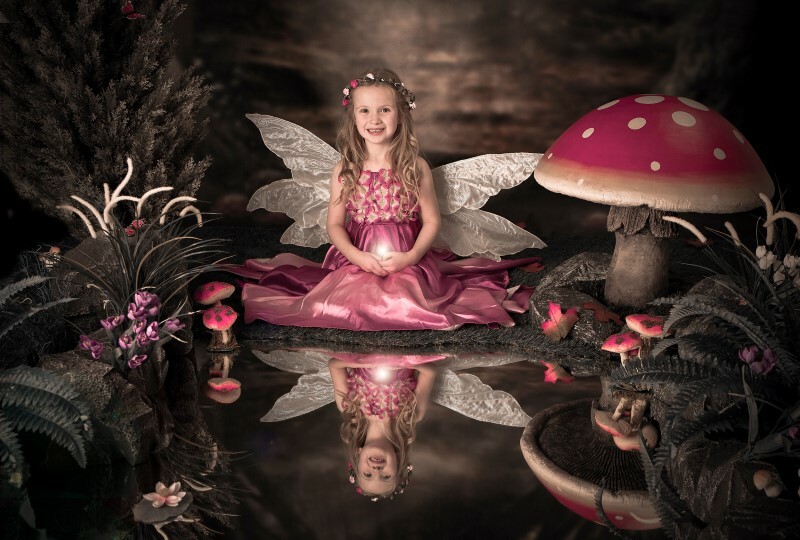 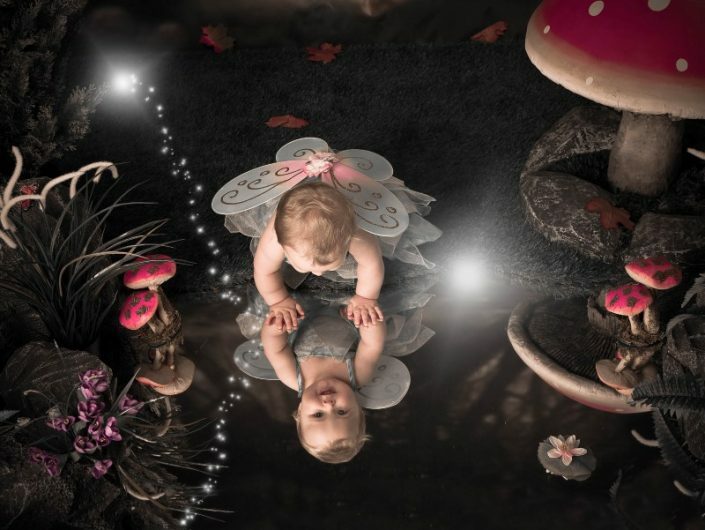 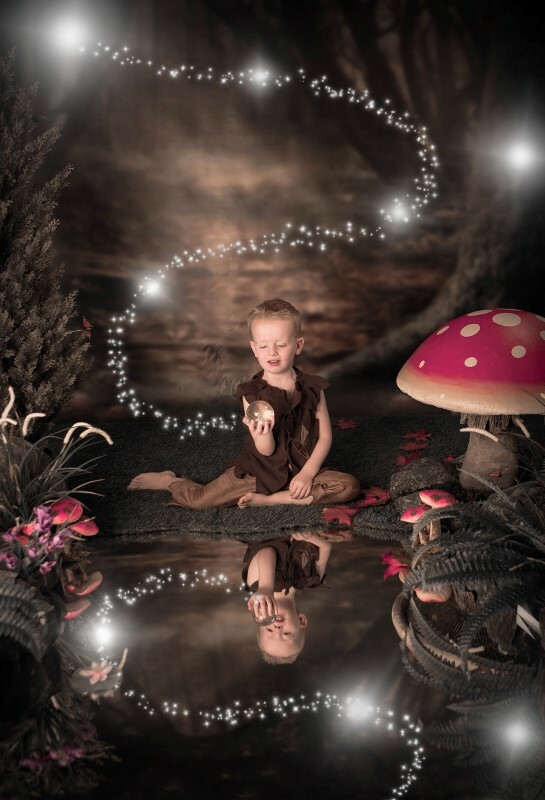 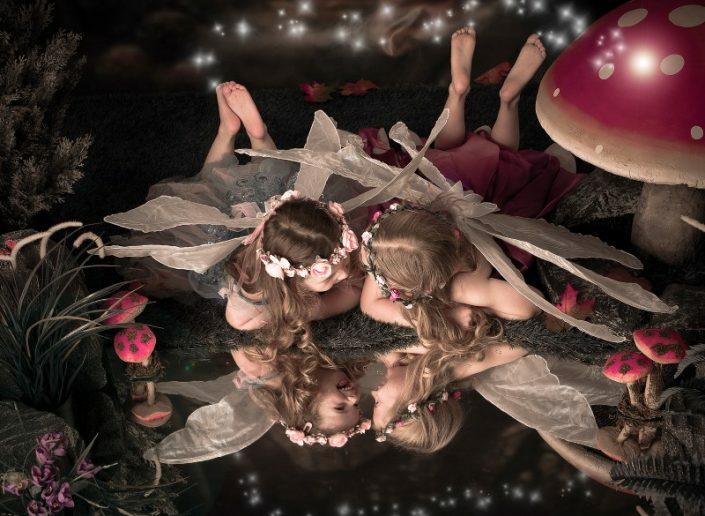 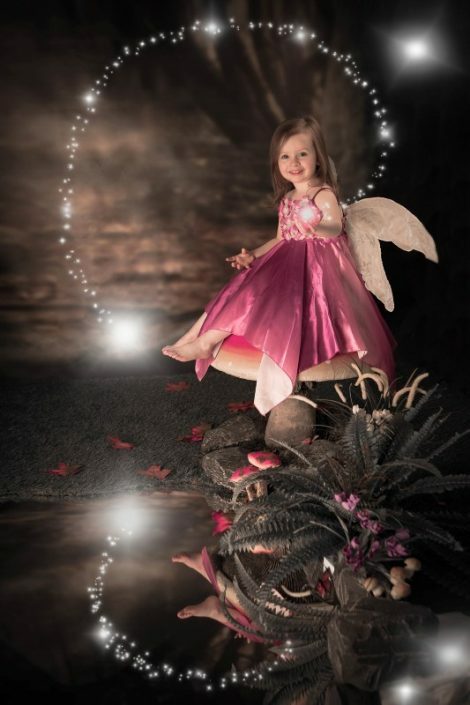 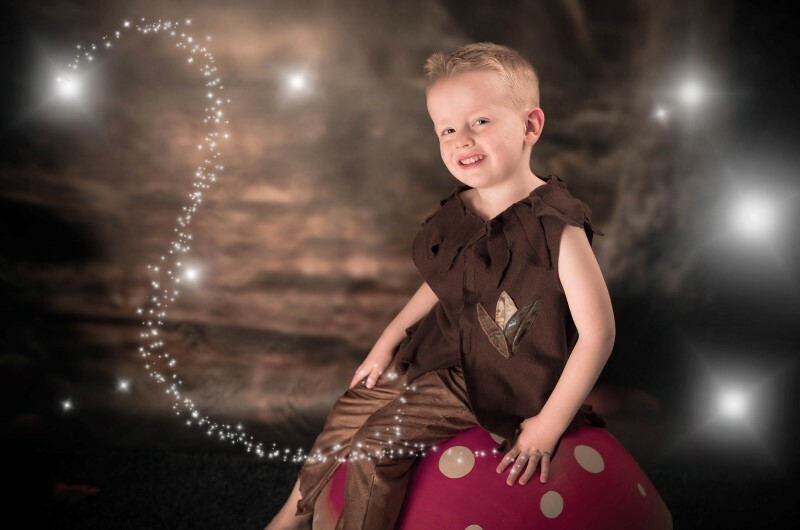 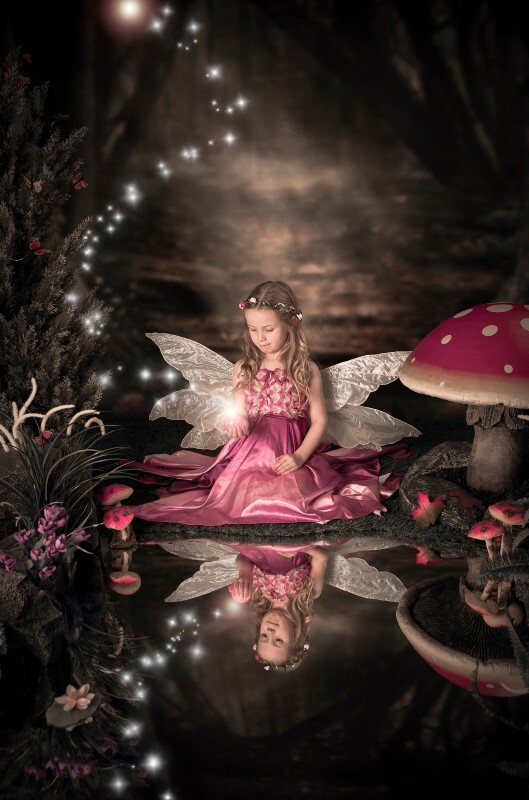 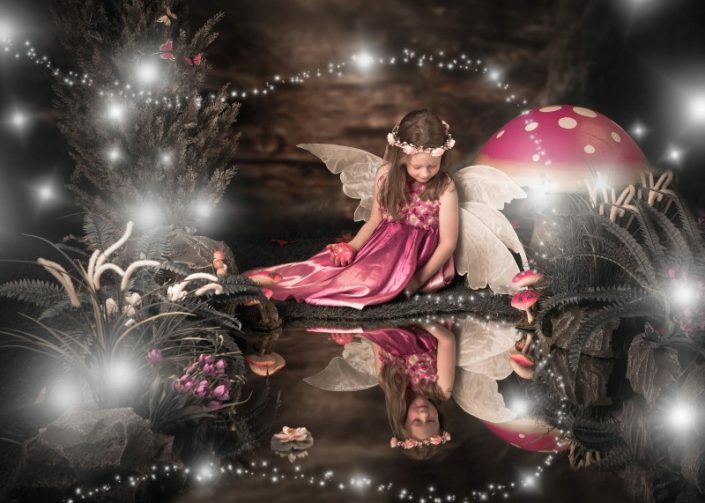 When we take fairy photographs in our studio it is unlike any other studio shoot. It is a magical experience where the children come and pick their fairy dresses from our beautiful purpose made selection while fairy music plays gently throughout the room. 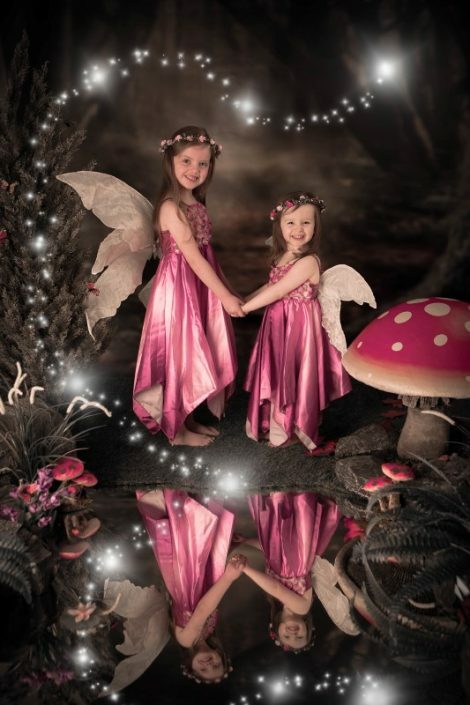 Next, they will get fabulous fairy wings and walk into an enchanted forest which is our designer “film set” studio. 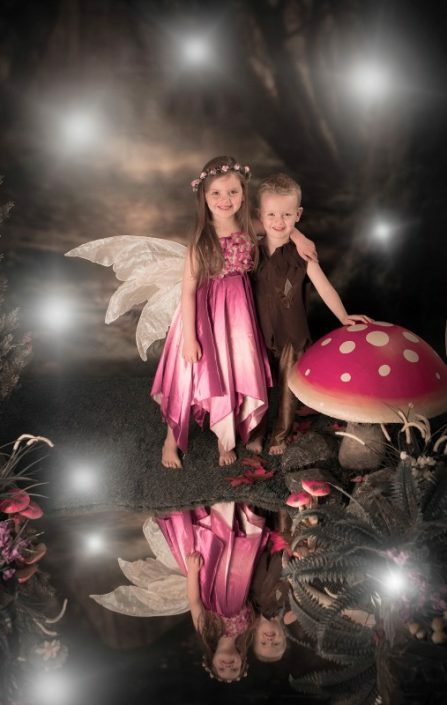 They will be surrounded by trees, flowers, grass and a pond with a backdrop of a beautiful forest. Then we go through a shoot while talking about their favourite fairies and interacting with the props like enjoying their reflection in the pond or sitting on a giant toadstool. 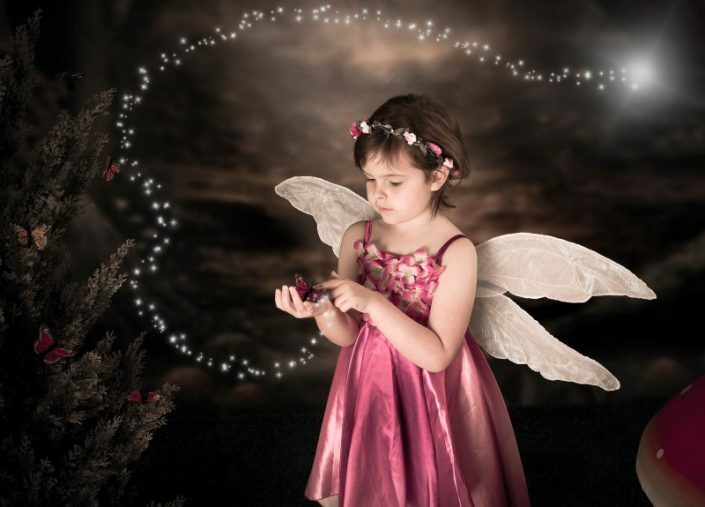 Because the children are taking part and interacting with a real set this becomes a real experience that they will always remember and cherish. 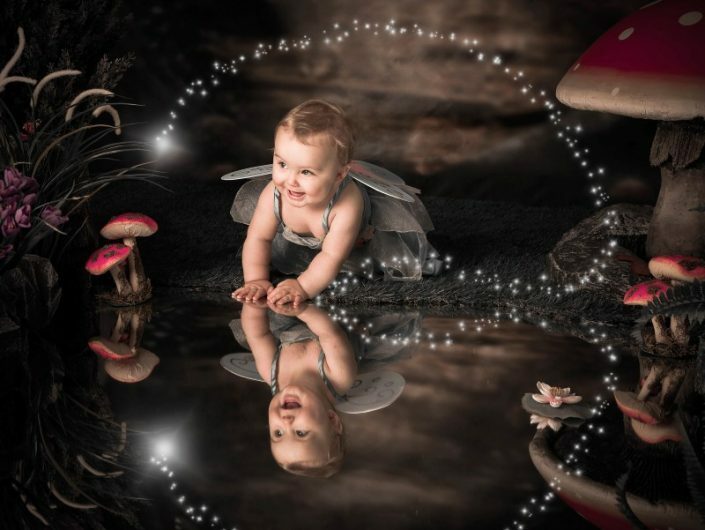 The saying “A photograph can tell a thousand words” is true but the photographs taken during the fairy shoot will tell a thousand words and bring them back a thousand times more to a beautiful time.